VT Davy’s books revolve around a question or an issue. A Very Civil Wedding dramatised the scenario of the next in-line to the throne wanting to marry her girlfriend. Vic’s latest book takes an appealing idea of being able to film the lives of women through the ages. Read on to find out about the repercussions. Want to research your family tree? You could go to the house lived in by your ancestors, input when they lived there, and find out more about their daily lives. Want to witness historic events at first hand? You could go to the location where the event was supposed to have taken place, input the date and time, and see it from any angle you wished. Want to set the record straight? You could go to a location where some disputed historic happening occurred, input the date and time, and publish your findings. There’s just one restriction: only women who are deceased are visible to the camera. Even so, it would be pretty cool, wouldn’t it? Or would it? This is the premise of my latest novel, The Hystery App. The app comes about by accident when Dr Brogan Miller and her wife, Dr Honor Smith, are experimenting with sending a personal satellite into space, something that amateur scientists are now doing. A freak occurrence turns the satellite into a sort of time machine that allows mobile devices communicating with it to film video of women from the past. Things start to go wrong when the app, like all technology before it, starts to be abused by people exploiting women for their own ends. The novel draws deliberate parallels with the use and abuse of the Internet to look at the question of how society treats women and girls, but also how women and girls treat themselves. Using glimpses of the uploads from the Hystery app, it shines a light on some of the milestones in Britain for the women’s movement and compares them to snippets from today’s multimedia culture to evaluate how far women have come and how far they still have to go. 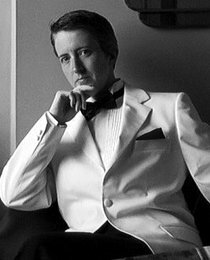 In writing the novel, I am concerned about the state of feminism today. In the last twenty-five years, we seem to have slipped backwards. We live in a world where the top female artists in the music industry sing strutting anthems about girl power whilst wearing nothing more than a scrap of material in the relevant places. Compare their wardrobe to the top male artists in the music industry and you’ll see that equality has some way to go. What does this say about the respect the managers and producers have for their talent? Your voice isn’t really good enough; we’d better get you to strip off? More than that, what does it say about the respect that the performer has for their talent? Images like these stream onto the screens of teenage girls providing a very confused message for the next generation of women. What are they being taught here? To be a strong, powerful woman, like the song says, you have to expose your body for the titillation of men? No doubt, the performers would argue that women’s lib means having the choice to wear (or not) what you like without being dictated to by men. Wearing very little to showcase their vocal talent is their choice, then. If that’s true (and I’m not sure it really is as free a choice as they think it is), that’s fine. However, because your music is purchased by impressionable young girls, would a more responsible choice not be to be a strong, powerful woman who has reached the top of her profession without using her body in that way? On the flip side, women who have reached the top of their profession in politics, business or academia and who don’t use their bodies in that way are trolled mercilessly on the Internet and in the tabloid papers for the way that they look. And not just by men. “Something is rotten in the state of Denmark”. It is this dichotomy that intrigues me and I hope it will provoke a reaction in readers, too. As well as making readers think about an issue, reading should be fun, which is why The Hystery App has at its heart the relationship between Brogan and Honor and, without giving anything away, a stranger called Erin James, who comes into Brogan’s life at a crisis point. The story, a combination of romance and science fiction with lots of humour and observations on family life thrown in, and the love triangle at the centre, I guarantee, will be unlike any you have read before. I hope readers will enjoy it on lots of levels. 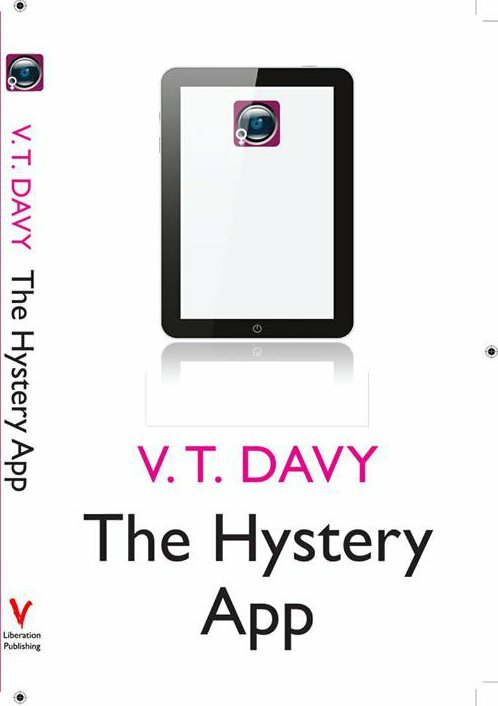 You can buy The Hystery App on Amazon and find out more about Vic at Liberation Publishing. ← News Roundup: Sarah Waters Hits the Stage, New Romance from KE Payne, Blogs from Jody Klaire, Clare Lydon, Jenny Frame, & Cari Hunter, Angie Peach Heads to GCLS, and Loads More!